I bought a new SSD with 750 GB and made two partitions: 600 GB and 150 GB. The smaller one was thought to be a Bootcamp partition one day, but to date it was just another unused partition. When I needed more space, I decided to merge these two partitions. The partition was created with Mavericks, the merge was done with Yosemite. I opened Disk Utility and the "minus" button. Disk Utility told me both partitions would be merged then. However it miserably failed. My main hard disc suddenly had errors which couldn't be repaired and even two of my other external hard discs could not be mounted any longer. I eventually restored the hard disc from Time Machine, which worked well. Unfortunately I can't resize the 600 GB partition nor can I create a new partition using the free space. but it wouldn't help. It said I couldn't recover because it wasn't created in a way it would support (sorry for missing the exact message). I then have learned that Apple_CoreStorage might indicate my disk is encrypted, which might explain why I can't resize it. It doesn't explain why I can't create a new partition to me. What are my options to make my hard disk available in a single partition with size 750 GB? After gaining some experience with CoreStorage volumes, I reworked my first answer to generalize and facilitate it by adding some scenarios and deleting some dispensable steps. The command expands or shrinks the whole CoreStorage Volume Group including the physical volume(s), the logical volume family and the logical volume in one step to the desired size. While shrinking it down to the size of the occupied space in the logical volume shouldn't be problem at all (but not recommended because at least 10% free space should be left), any blocking partition except the recovery partition has to be deleted or diminished before expanding the CoreStorage stack. Beware: The command is vastly undocumented and as such potentially destructive. Detach any external drive (especially your external Time Machine backup drive). On a 50 Mbps-line it takes about 4 min (presenting a small animated globe) to boot to a recovery netboot image which usually is loaded from an apple/akamai server. Disk0 is your main internal disk device containing the EFI-partition (dis0s1), the CoreStorage partition (disk0s2) and the Recovery HD (disk0s3). The No Name EFI (disk0s4) only exists if you had a Boot Camp partition previously and deleted it manually. 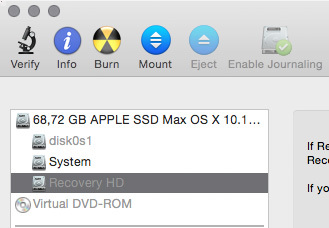 Disk1 is a logical disk created by booting to the netboot image which contains a recovery system (OS X Base System = disk1s2) similar to the Recovery HD. Disk2 is also a logical disk residing in disk0s2 and it contains the CoreStorage stack. The partition with the index number 1 is the regular EFI-partition, the partition with index number 2 is your CoreStorage partition and the partition with index number 3 is your Recovery HD. The partition with index number 4 (=No Name EFI) only exists if you had a Boot Camp partition previously and deleted it manually. All the rest is unallocated free space (in the example 27359703 blocks à 512 B). to resize the CoreStorage volume you have to delete any blocking partition first (the Recovery HD doesn't count because it usually will be moved with the resizeStack command). with LVUUID: UUID of the logical volume and size: the final size of your CoreStorage volume. to expand it to the full available size (0g is a magic number here). Your Recovery HD should be moved automatically - regardless of whether shrinking or expanding the CS volume - to the very end of it. In case of shrinking the CoreStorage volume you may now create a 2nd partition with gpt. to create a new partition. StartBlock is the number of the first block in the unallocated space and NumberOfBlocks is the number of free blocks or smaller. NumberOfBlocks has to be dividable through 8! Enter exit and quit Terminal. Open Disk Utility (and format your newly created partition if you have created a new partition in the second last step). Then check your expanded CoreStorage volume for errors. Reboot to your main volume. The following diskutil cs resizeStack command is vastly undocumented and as such potentially destructive. There might be an easy way outlined first and a long winding, time consuming hard way. Please backup your Mac OS X before proceeding. A 2nd computer or an iPhone with the stackexchange credentials to enter the site or the chat is usefull. Your Mac OS X partition (Macintosh HD) visible on the desktop is equivalent to the Logical Volume 7BF42B7B-xxxx-xxxx-xxxx-xxxxxxxxxxxx. or a bootable Mavericks or Yosemite Thumb Drive (full system or install). This will hopefully expand your CoreStorage volume to the full 750 GB.. Depending on your disk this will take several seconds (SSD) or minutes (HDD). After a successful resize check with diskutil list if the 'Recovery HD' still exists. Quit 'Terminal.app' and start 'Disk Utility' and verify the expanded volume. Erase the Recovery HD with diskutil eraseVolume Free\ Space %noformat% IDENTIFIER_Recovery_HD. This will hopefully expand your CoreStorage volume to almost full 748 GB (i have left some space for a future Recovery HD. I am astonished about complexity of this problem (see @klanomath answer) and easiness to create it. That's why I tried to play with it and found a work around. My problem was the following: I had 500GB-disk. I created 150GB-Macintosh-HD partition on this disk using Disk Utility, leaving 350GB as a "free space". When I tried to format the free space into second partition I failed to do it: when I pressed Apply it ignored my command and behaved like I never pressed "Apply" (when I wanted to close the Disk Utility window it warned me that there are unapplied changes). I took the first volume (that is formatted volume named Macintosh HD, it had 150GB size) and asked Disk Utility to partition it into two partitions: 100GB + 50GB. Pressed "Apply" and magically Disk Utility created for me two partitions: 100GB + 400GB. At this point all space on disk become useful and I was quite happy with it. Then I simply removed second partition, pressing "-" and "Apply". As result it was merged with Macintosh HD and I returned back to were I was before step 1. Finally, I divided it into two partitions with the sizes 150GB and 350GB as I wanted at the start. Now the problem seems to be solved. Make a bootable Windows USB using bootcamp. Do not partition or download support files. Restart your comp holding "option" key. Open Windows partition and keep clicking next until you have to choose to format a disk. Choose the block with the "freespace" memory i.e. unallocated space. Click on "new" in the installation window and the click on "format"
You will get an error that is completely fine. Quit the installation and restart to Mac. Now that "freespace" is "windows NTFS" format. Click on "-" symbol and voila. It's restored back to your Full HDD. Great article! Thanks so much for the effort you've put into this - really helped me out! I was tracking the use case of expanding my Core Storage removing a bootcamp volume and merging it. 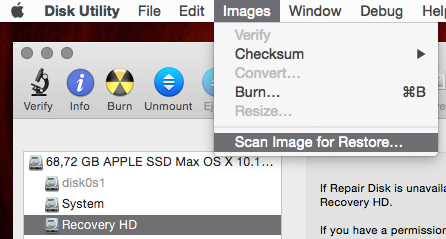 Also on OS X 10.11.1 I found that 0g was not a valid parameter for the resize value. I was required to provide a specific size. And finally, I strongly suggest you also verify and repair any errors on your core storage volume before you attempt a resize. It's easier to address those outside of the resize process. I had this problem, and I think the simplest fix is this: Click the "+" sign on the bottom of the Partition Layout, resize the second partition to what you want, and then select the format to be "Free Space". 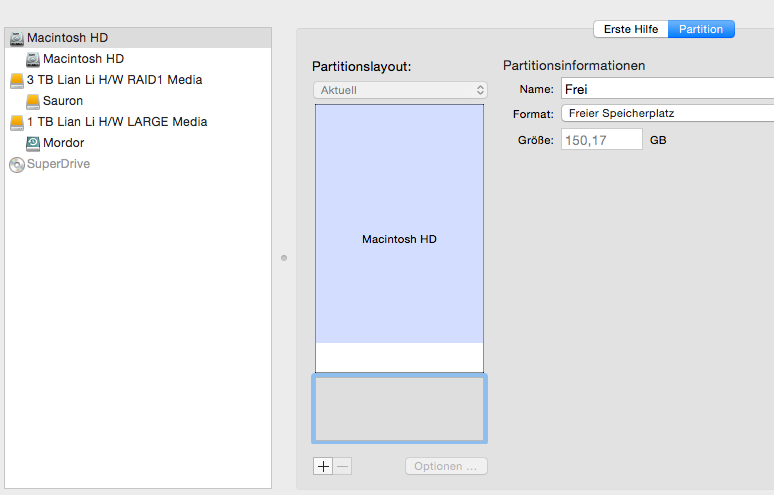 You will see that the second partition in the layout is replaced by empty space. Then, just select "Apply". I was looking for a solution to non-destructively shrink a volume in Sierra to make room for a beta install of High Sierra, and found this page very helpful. I was using an encrypted volume HFS+ Journaled in MacOS Sierra. Matt's advice above is very good, but I found an even quicker mechanism for this, for CoreStorage Volumes that are encrypted or not. Once in recovery mode, if you have a CoreStorage Encrypted volume, open the terminal window and prepare the drive like so. Otherwise skip ahead to DiskUtility usage below. Take note of the last UUID for the Locked Volume if it exists, then. The above command should ask for the passcode which is your normal user password. 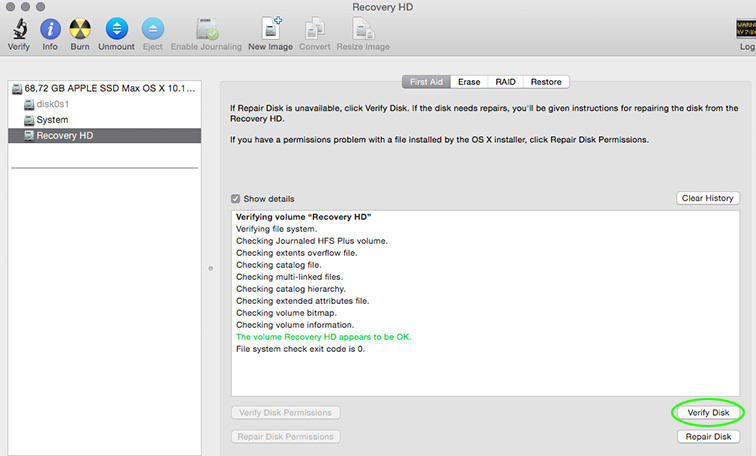 Open Disk Utility from terminal or back at the menu, and use the Partition feature on the main disk container. You should be able to use the '+' key to optionally add a partition to the available space, adjust the size to your preference, and then use 'Apply' to initiate a NON-DESTRUCTIVE, NON-ERASING shrink of your existing partition. This leaves you with your original data on the smaller partition and an empty partition in the remaining space. Just be sure to set the new partition to not overlap the indicated crosshatched data. It will tell you that the operation does not erase existing data, and I can assure you that in my case it did not. The usual caveats apply here anyway, you really should always backup if you can, before starting an operation of this sort. Not the answer you're looking for? Browse other questions tagged macos disk-utility partition core-storage .